M. Everington - Unmissable Read, 11 Dec 2011. "Compelling read from start to finish. Well constructed down to earth characters. Each character has you relating to them as if you had known them individually for years. The other reviews of this book are spot on. I don't read too many books in a year and usually take months to finish a book but with the Black Cockles I found the wait to read more pages agonizing. I finished this book in less than a week, it was that captivating! So if you like romantic murder thrillers with a good dose of humour thrown in you'll love this book." D. Margetts - Great Book,6 Dec 2011. "I found this book compelling from start to finish. I can only echo what the other reviews say. Exciting, funny, romantic, it has everything. I will be looking out for the leading character Ed Case's next adventure. " Cherry-Ann Carew - A most enjoyable read, 3 Sep 2011. "In Black Cockles, author, John Morritt draws the reader in immediately through the likeable personality of the main protagonist, Ed Case. The very name demonstrates the humour and writing style of the author. For non-British audience, the name Ed Case lends itself to the term `head case,' that is rather funny. Yet, there is more to Ed than his (most times) cheeky sense of humour. A sucker for a damsel in distress he certainly is, and we clearly see how he values his friends and doesn't hesitate to defend their honour, or put his life on the line for them. We can't help but love his personality, so much so that we root for him when the possibility of love enters his life and he is hesitant because of a previous bad marriage. Quick witted and astute, he plays his part in helping the cops solve the case of a serial killer. 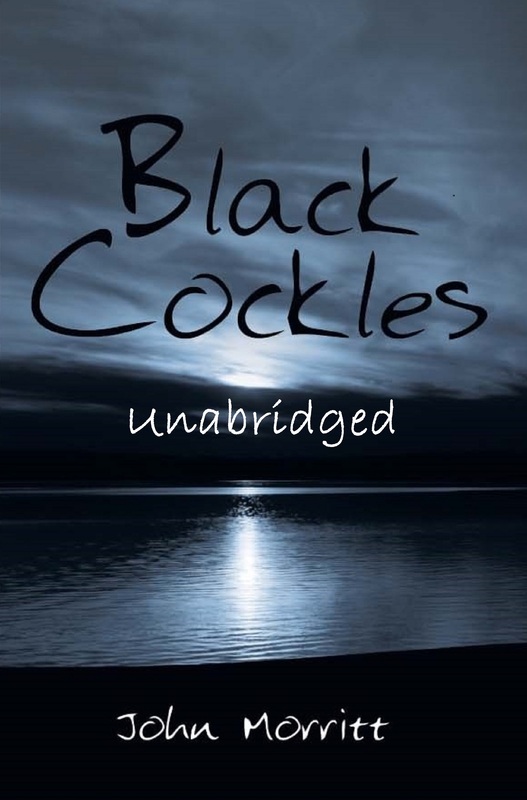 Ed's character, as well as the supporting characters, is down to earth and realistic, making Black Cockles a most enjoyable read. " N. Martelly - Compelling read, a recommended buy and hats off to the author, 14 Aug 2011. "I was a fan of Ed's from the get go. I like what the character stands up for and his temperament, let alone the dry humour at times. The fact that I am not a major fiction reader yet was enthralled by this read, says it all. I try not to allow others to dictate my emotional mood but by the time I realised this impact, I was hook-lined and sinkered! The author managed via the intriguing story line to inject humour, strong emotions of concern and wonderful outbursts of my public lol'ing." Mb - John Morrit Black Cockles, 06 Apr 2011. "There are so many murder/mystery books about, but this novel stood out for me. With an intriguing, winding plot and a collection of real human characters, I found it difficult to put the book down and only closing eyes in the early hours of the morning, defeated me! In my view, this author rates alongside Rankin, Pawson and Leslie Thomas (remember Kensington Heights? ), as a first rate story teller and I am looking forward to his next novel. Do I recommend it? Most certainly, but dont plan to do much else once you've started reading!" C.D. Miller - The Best Read in Ages, 22 Jul 2010. "The old cliches 'must read' and 'page turner' definetly apply to this book. I couldn't and wouldn't put it down. The story is excellent, very imaginative. Characters are interesting and you want to learn more about them. The side story of Emma is compelling and kept you hoping that her 'story' would have an answered happy ending. Which thankfully it did. I don't get much chance to ready these days, two young children and bed calls earlier and earlier. But with this I started on the Tuesday, sat in garage waiting for car to be repaired, sadly only took an hour. Kids to bed, then read again until husband told me it was late! Then Wednesday evening I finished it oblivious to what was going on around me. Was thoroughly enthralled and engrossed, I cheered in the right places and got a bit teary at the sad bit. Sign of a good book and author. Would I recommend this book - 100% yes. Can't wait for his next one." Pookie - A Great page turner, 25 Jun 2010. "This book is well written - a great story and well told! Murder and romance with a bit of humour thrown in for good measure - would recommend this book to anyone! Looking forward to further titles from this author. "